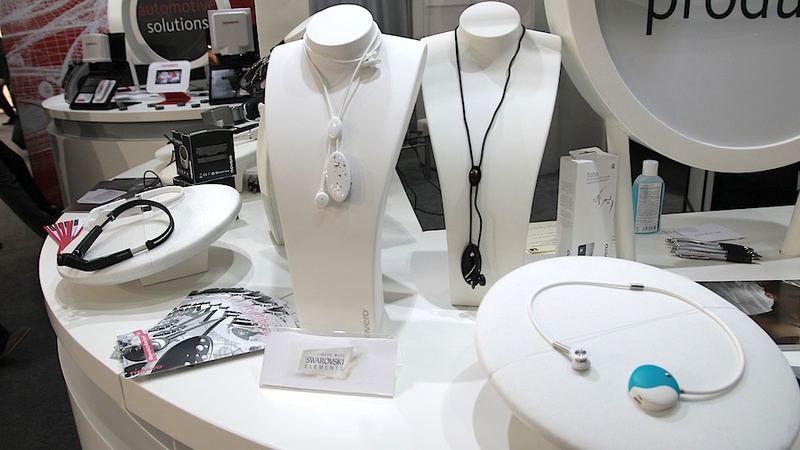 During the MWC we have seen many different accessories, from sports sensors housings, through headphones or speakers. One that caught our eye for its attention to detail were the Bluetooth headset Novero brand. Novero is a company founded by entrepreneur Romanian Razvan Olosu five years ago and is based in Düsseldorf, Germany. It is dedicated to the creation of Bluetooth products and focused mainly on the automotive, even though that is its core business in recent years has developed lines of luxury consumer focused. These product lines, especially those dedicated to women, are the ones that caught our attention because they are nothing common: jewel-like. Whenever we think of a headset to make calls or control some functions of our smartphone, imagine a roughly rectangular device that attaches placing it on your ear, but nothing is further than usual in this case. At MWC could see the pieces collections "Lexington" and "Victor", more masculine, and "Victoria", "Tribeca" and "Soho" female cutting. The latter are held as a necklace, and may go unnoticed because they are disguised as such. With a modern design, using materials ranging from steel or black silicone in sportier models, to semi-precious stones like lapis lazuli in the case of "Victoria Lapis" or Swarovski Elements crystals models "Tribeca" and " Soho ", but always without losing functionality. The devices are Bluetooth 2.1, with a battery life of 4 hours in use and more than 100 pending. 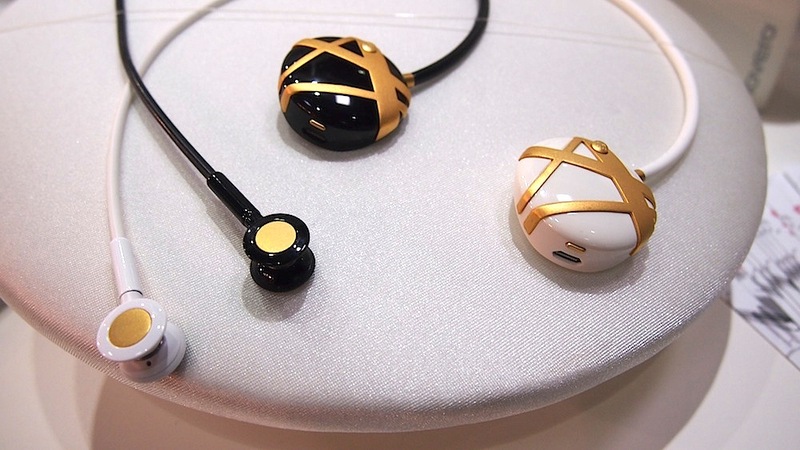 The models have interchangeable headphones to choose the size most comfortable for us and also support a connection to two phones at once and the noise cancellation is excellent. Micro USB loaded and, of course, be used with any terminal that supports Bluetooth. Yes, the prices range from 59 €, 69 € or 99 €, 129 € to 299 € encrusted models and more sophisticated. Is the most expensive? 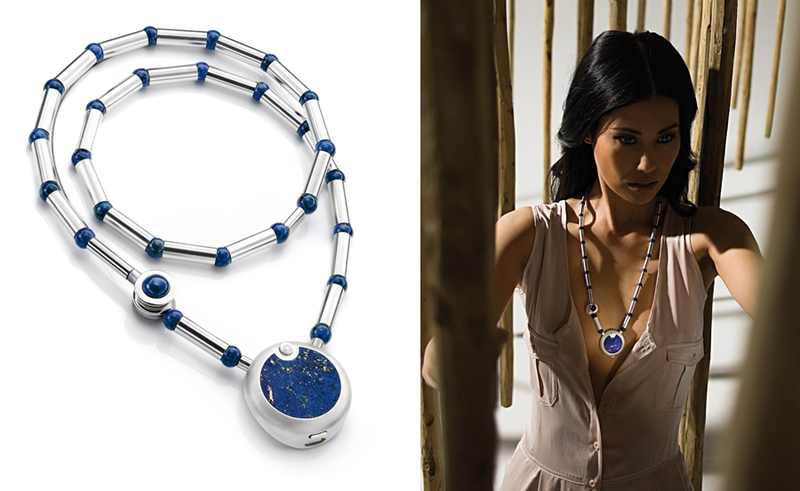 "Victoria Lapis" which costs a whopping € 969. You can buy them in their online store . Okay, maybe the price is a bit high but who wants to take your white headphones bag whether to answer a call when the look is spoiled to the last detail?